Last month Station Motel Parkes became the last Southern Cross Motel Group property to have its official SCMG branded sign installed. A Southern Cross Motel Group sign is a promise of a nice clean room, service with a smile and great food – all at a fair rate! 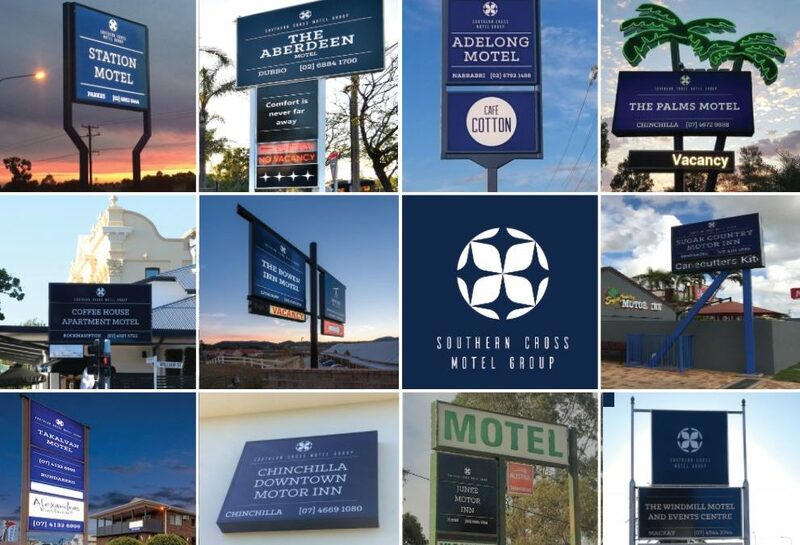 Whether you’re travelling to Mackay, Junee or anywhere in between keep your eyes peeled for our navy and white street sign and the Southern Cross symbol welcoming you to one of our properties.